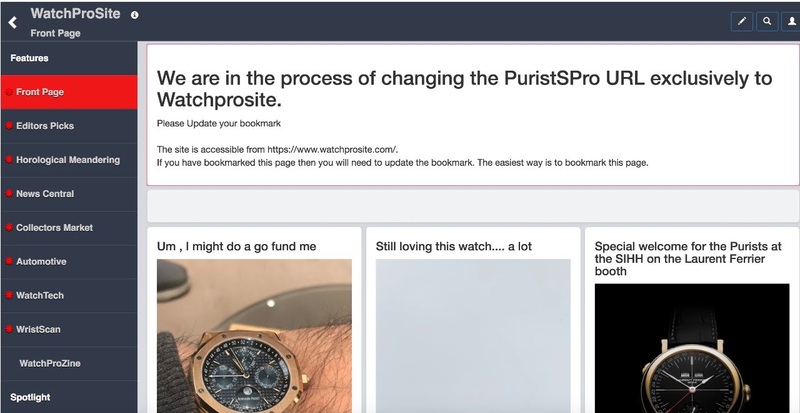 We are in the process of changing the PuristSPro URL exclusively to Watchprosite. The site is accessible from www.watchprosite.com. If you have bookmarked this page then you will need to update the bookmark. The easiest way is to bookmark this page.